Considered an outsider artist, Shelter Island New York native Hap Bowditch Jr. is self taught in his craft of metal sculpting. 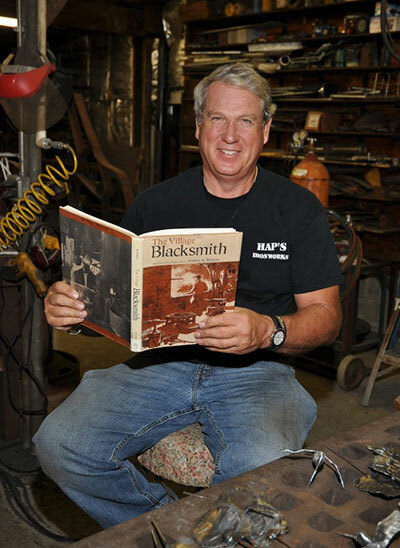 A mechanic turned welder, he learned the practical side of welding 25 years ago while servicing heavy equipment. Little did he know then, this skill would become his art. As one reviewer has said, "The fluidity of his medium is capturing. It's like he is sketching out his creation only his pencil, is steel." Hap's sculptures are in many private collections on the east end of Long Island and can be seen in a number of galleries, including his own.